I really can’t think of anything more annoying than nagging knee pain. It can be debilitating, persistent, and if not property corrected over time can lead to premature osteoarthritis. The knee joint is a weight bearing joint that takes a lot of abuse over the years. It is separated by a shock absorbing meniscus and stabilized by several major structures; the anterior cruciate ligament (ACL), posterior cruciate ligament (PCL), and lateral cruciate ligament (LCL). Knee pain can have many causes, but if your knee pain is caused by faulty biomechanics, custom orthotic inserts could be your solution. Years of repetitive strain and lack of biomechanical shock absorption from the feet can create strain and wear out your knee joint and ligaments. If you are experiencing knee pain without a specific traumatic event and that knee pain/ache/stiffness just won’t go away, it’s worth finding out if custom orthotic inserts can provide relief from your knee pain. Better biomechanics leads to better distribution of weight through all joints. 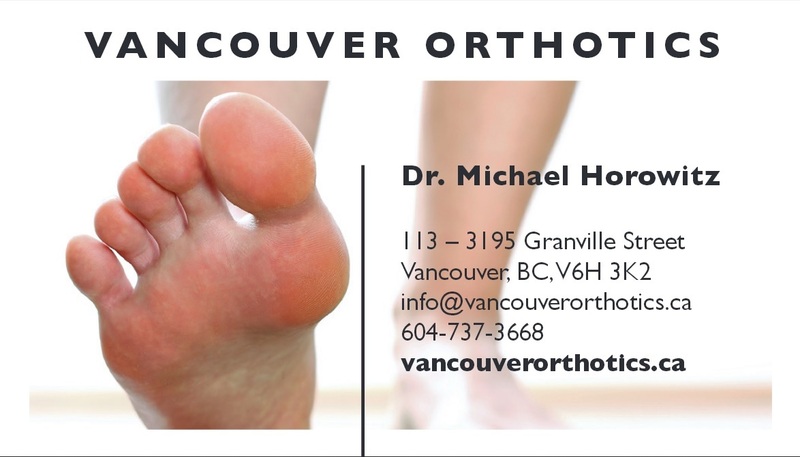 Give us a call today at Vancouver Orthotics and speak to Dr Michael Horowitz for some answers to your questions.